Each year they celebrate the agricultural industry within each county and use the festivities to educate elected officials and the general public on the importance of agriculture in their community, state and nation. 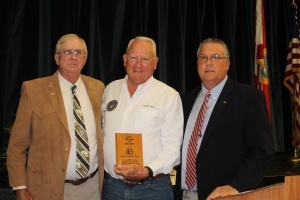 Another way Hernando/Citrus County Farm Bureau brings agriculture awareness to the community is through their Annual Meeting. The Hernando-Citrus Co. Farm Bureau will award one or more scholarships up to $1,000 to graduating high school seniors in Hernando and Citrus counties. To be eligible, seniors must carry at least a 2.5 grade point average and plan to major in an agricultural related field. Application forms are available in the guidance offices of all Hernando and Citrus County high schools and private schools. All applications must be postmarked or hand delivered to the Farm Bureau office in Citrus or Hernando County by April 1. Call (352) 796-2526 or email hilda.cannon@ffbic.com for information.